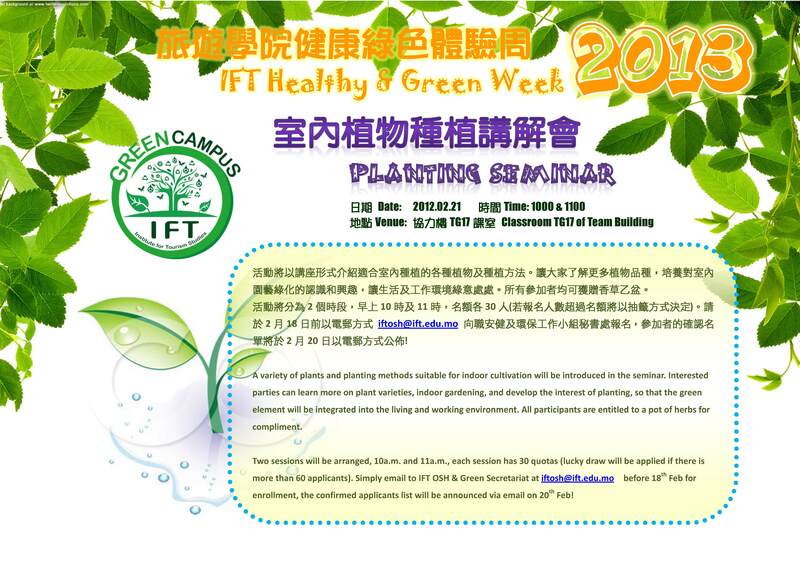 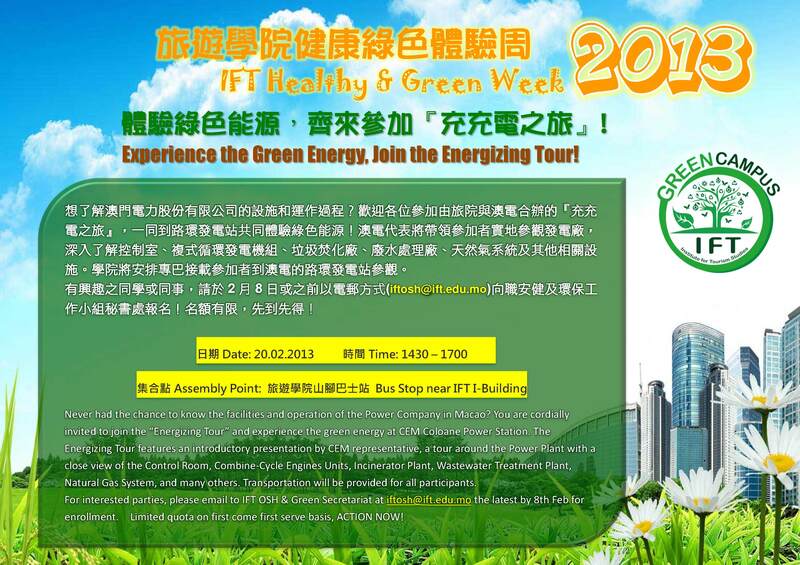 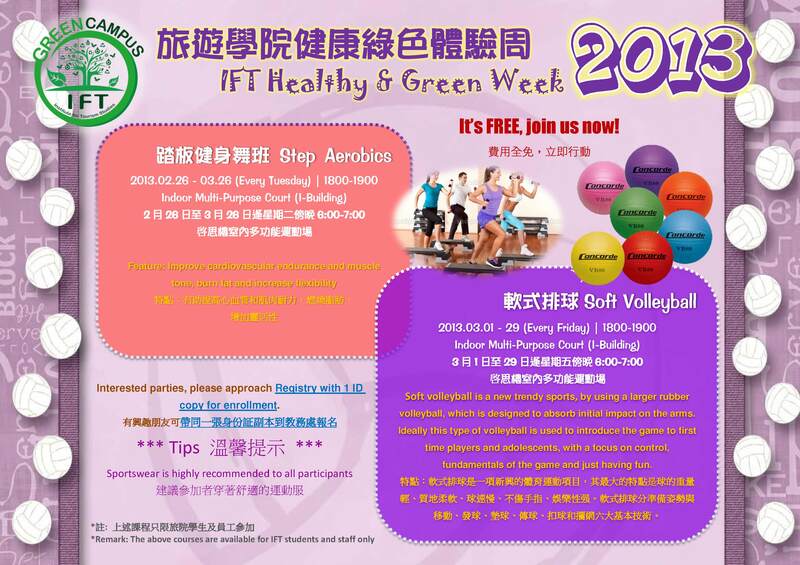 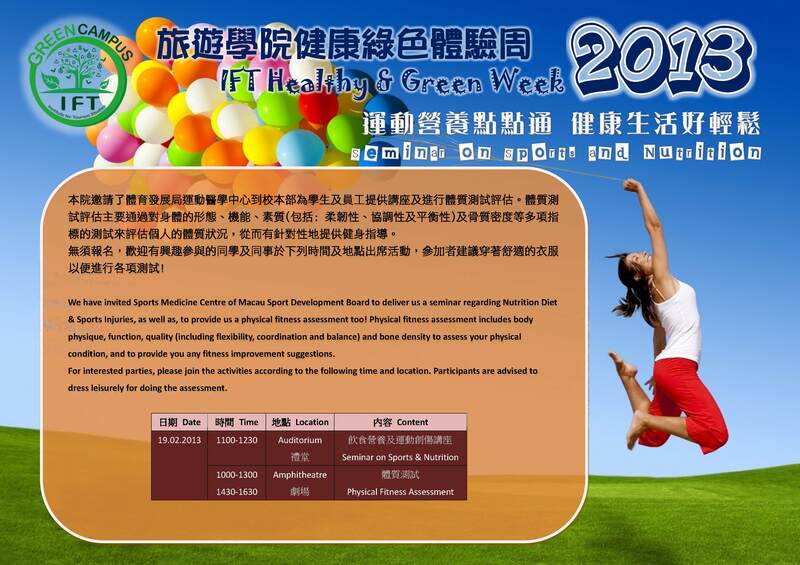 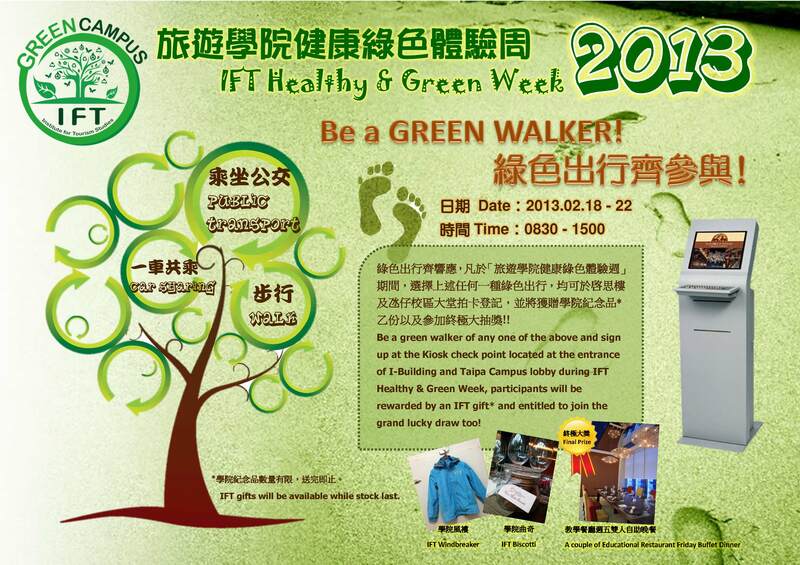 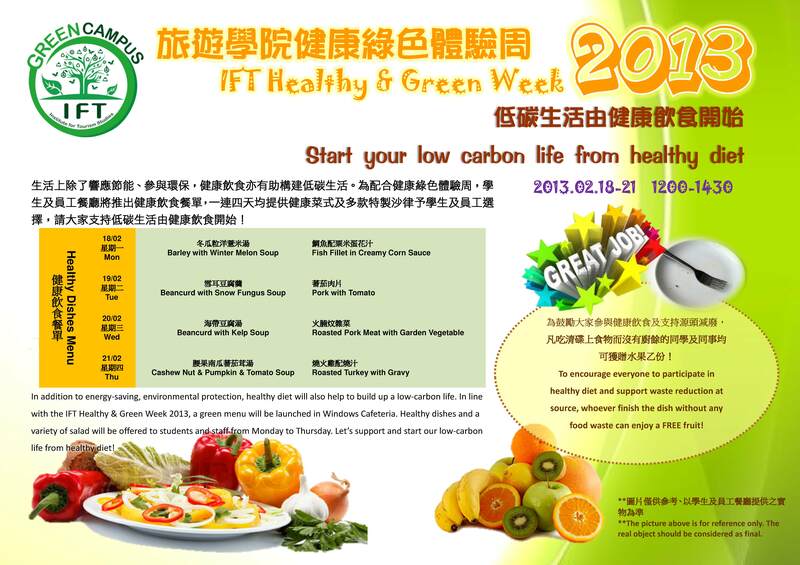 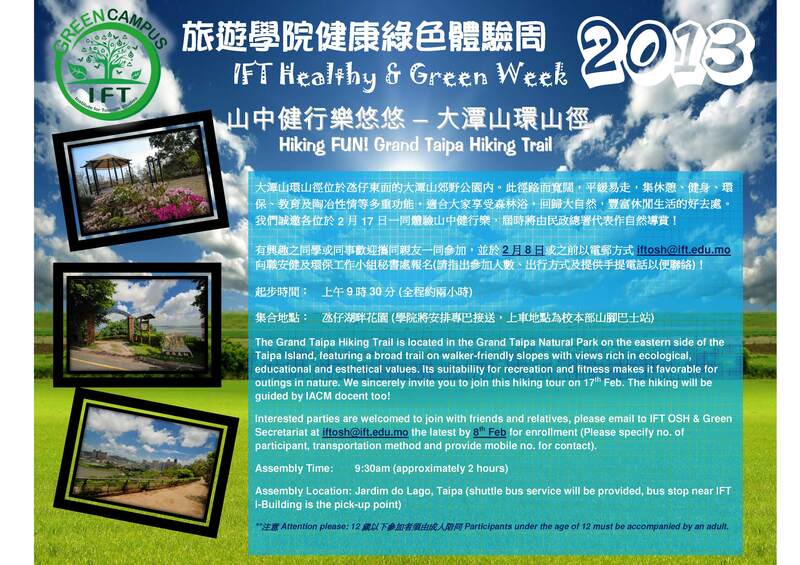 In order to better promote healthy lifestyle and strengthen the awareness of environmental protection to all students and staff, IFT is going to hold “2013 Healthy and Green Week” on 17th-22nd February 2013! 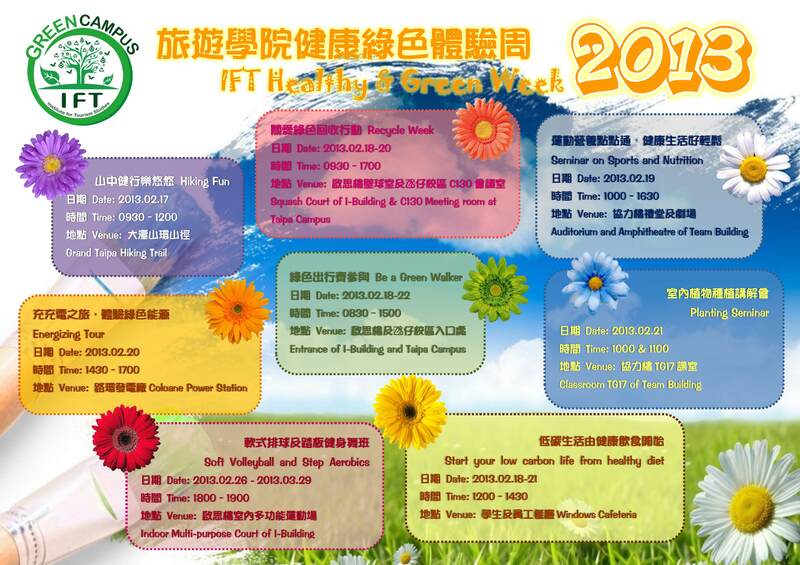 We hope to build up a healthy and green campus together by means of a series of events during the week, including: Hiking Fun, Be a Green Walker, promoting healthy diet, Seminar on Sports & Nutrition, Energizing Tour, Planting Seminar and Recycle Week! 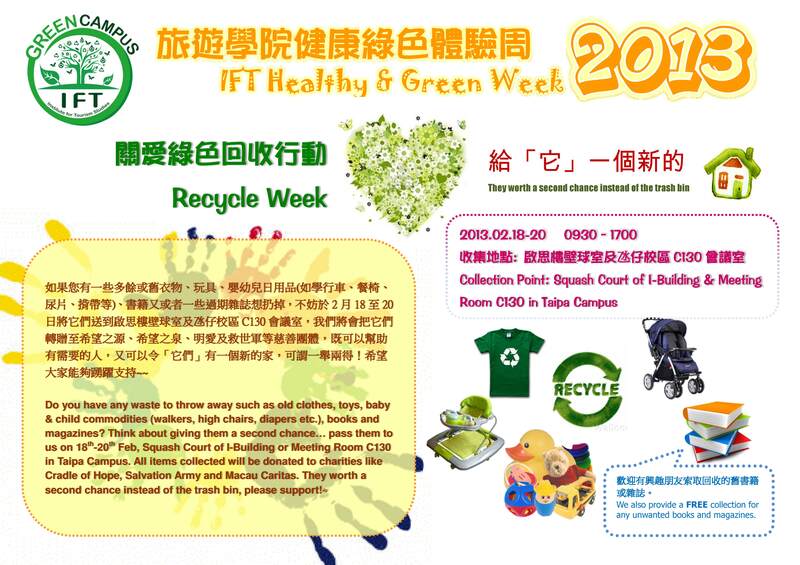 With all these events, we would like to encourage everyone to be both physically and mentally involved in environmental protection and have a healthy lifestyle!